The Nike Air More Uptempo Chicago is part of an upcoming “City Pack” that will also represent New York and Atlanta. Continuing the theme that was first used on the Supreme collaborations. 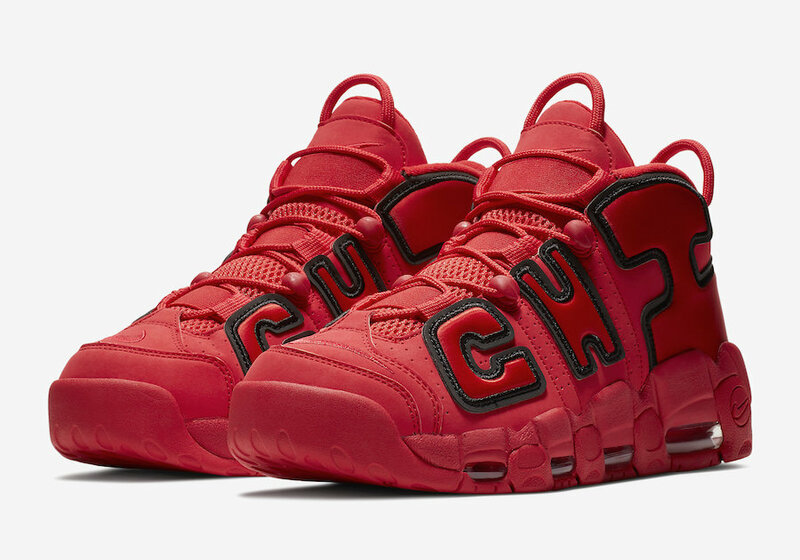 This “Chicago” edition for Nike Uptempo is highlighted with an oversized “CHI” on the sides outlined in Black. Red covers the rest of the shoe, including the rubber outsole. Look for the Nike Air More Uptempo “Chicago” to release on December 20th at select Nike Sportswear retailers and Nike.com. The retail price tag is set at $170 USD. UPDATE: Detailed photos of the “Chicago” Nike Air More Uptempo via FineLine1721.